In a part of Montgomery County, the speed limit changes depending on the time of day. The change was made near Route 28 and Shady Grove Road in North Potomac to get loud trucks to slow down. Many trucks travel through the neighborhood trying to get to and from the nearby quarry. The trucks were so loud overnight that the surrounding community pushed back, asking that something be done. The county decided to lower the speed limit between 9 p.m. and 6 a.m. to 25 mph from 40 mph. The thought: Slower traffic means less noise. But that speed limit applies to everyone, not just trucks, and has confused some drivers. 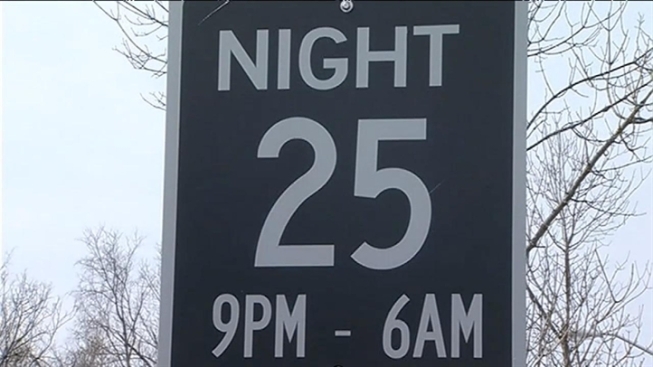 Residents say the nighttime speed limit hasn't really done much to slow down anyone, and they want more to be done. The county says it has also tried to calm the noise from the trucks even further by limiting the types of brakes they use. Some heavy duty brakes are simply too loud.